» The Fender Telecaster vs. The Stratocaster: Which One is Best? Both the Stratocaster and Telecaster are Fender legends and two of the most popular guitars in the history of guitars. These two instruments are loved by millions of players all around the world. Also, are endorsed by many iconic musicians in almost every single music genre there is. But, if you happen to be someone who doesn’t know a whole lot about the Telecaster or the Stratocaster, you’re probably wondering which guitar is going to be the best for your own personal needs. Some people in the guitar community will try to convince you that either guitar is a good decision. However, that isn’t necessarily true. Especially, if you are looking for a very specific sound. 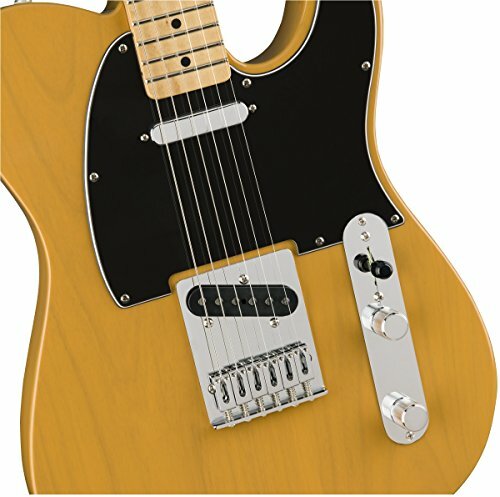 While both the Telecaster and the Stratocaster are great guitars, each guitar has its own unique sound that can be found in specific music genres. What this means, is that there is one guitar that is most likely better suited to your personal needs, your playing style, and your musical tastes. Ever since both the Telecaster and the Stratocaster have gained massive popularity, Fender began upgrading these guitars to suit musicians who are looking for more personalized qualities in a guitar. Fender began to install special pickups, different types of hardware, and other features in their guitars to make their instruments more versatile across all music genres. Even if you aren’t someone who is largely involved in the music world, you have probably heard of the brand ‘Fender’ and for good reason. Fender is one of the best guitar manufacturers in the world. 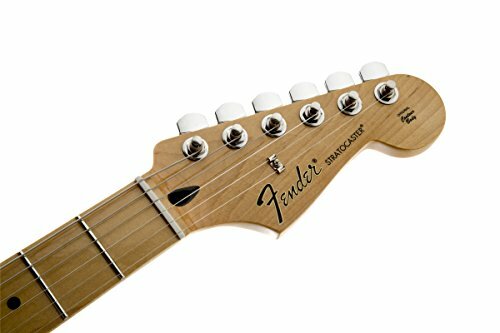 Fender has an incredible range of different guitars that fit into a variety of different music genres, for people who have different budgets, for every level guitar player. With all of the different models of guitars that Fender has, finding the perfect guitar for your needs can be very confusing. That’s why I have created today’s article. I am here to help you sort out all of the differences between the Tele and the Strat so that you can decide which guitar will suit you best. There are actually many differences between Fender’s Tele and Fender’s Strat, the first thing being the body of the guitars. The Strat and the Tele typically have an Alder body. Alder is a tonewood that provides guitars with a great bite, snappy sound to their sound. The shapes of the bodies of these guitars are different. You can identify the Stratocaster by looking at the upper portion of the body. The upper part of the Strat body has an ‘ear’ or an ‘upper horn’ which allows the musician with a bit more access to the higher registers. 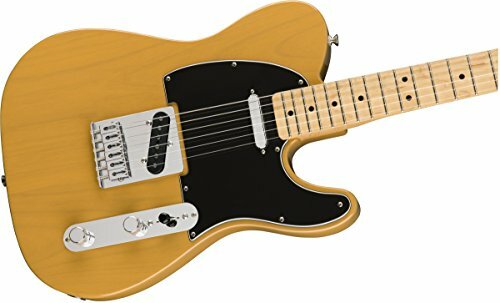 However, this isn’t a huge change in design compared to the Telecaster and probably won’t play an affect on the playability for most musicians. If you’re someone who isn’t super into guitar terms, don’t worry. 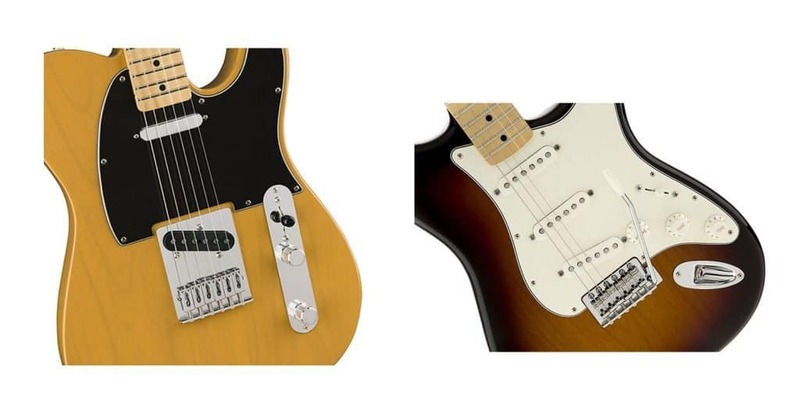 The body silhouettes of both guitars are easily recognizable and easy to tell apart; the Telecaster has a single cutaway and doesn’t have anybody contours. The Stratocaster has an upper horn to provide musicians with easier access to upper notes but also has sleek contours to the body of the guitar, which just adds to the overall playability comfort of the instrument. The bodies of both guitars are also available with a few different tonewood options, besides the typical Alder. Another choice that musicians have is Ash for both the Strat and the Tele. Some musicians feel like playing on a Tele/Strat that has Ash instead or Alder adds a bit more resonance and depth to their overall sound. The necks on the Tele and the Strat both feature Fender’s Modern ‘C’ shape and are both comprised of maple. For the neck, musicians can choose whether they would like a one piece all maple neck or a maple neck with a rosewood fingerboard. Just for the idea of the sound difference, this could make, the maple neck with the maple fingerboard will provide the instrument with a little bit of bite to the sound. Whereas the rosewood fingerboard will make the overall sound of your instrument a bit rounder. Both instruments house 22 medium-umbo frets, with a 25.5-inch scale, 9.5-inch fretboard radius, and the same nut width. However, the Strat does happen to have a larger headstock. There are some musicians in the guitar community that believe that a headstock that is heavier will provide a guitar with a better overall tone and more sustain. However, this has never actually been proven scientifically and is really just a matter of personal preference. Through my personal experience playing both the Stratocaster and the Telecaster, I found that even though the builds of the neck were similar, there was a definite difference in feel between the two guitar necks. The neck on the Telecaster has a physical build that’s squarer, while the Strat has a slightly rounder neck. As someone with smaller hands, I felt like the Strat was easier for my hands to hold and manipulate the strings on. However, that is just my personal preference and you may experience something totally different. Both the Tele and the Start come with single coil pickups; the Stratocaster comes with three Fender Custom Shop Fat 50’s single coil Strat pickups, while the Telecaster comes with a Custom Shop Broadcaster in the bridge pickups and a custom Twisted Tele pickup placed around the neck. The Stratocaster has a five-way pickup selector switch, while the Telecaster has a three-way switch. If you don’t know guitar talk very well, this basically means that the Stratocaster has more options and tones available when it comes time to switching between pickups or engaging different configurations for your pickup. These pickups were specifically designed by Fender for the Stratocaster and for the Telecaster, which means that there is a noticeable tone difference between the two instruments. The pickup tone on the Strat’s neck pickup is one of the most unique sounds I’ve heard from a neck pickup. It has a very round, polished, bell-like tone. However, the bridge pickup tone on the Telecaster was equally as breathtaking; when I was clean, I received a smooth twang from the guitar, but when I was dirty, there was a gravel to the voice of my Telecaster. In all honesty, the bridge is what makes the biggest difference between the Telecaster and the Stratocaster. Both of the bridges that are installed on these guitars have six adjustable saddles, but the Tele bridge has one piece that extends right below the bridge pickup. On the other hand, we have the Strat bridge that has a two-point tremolo system. 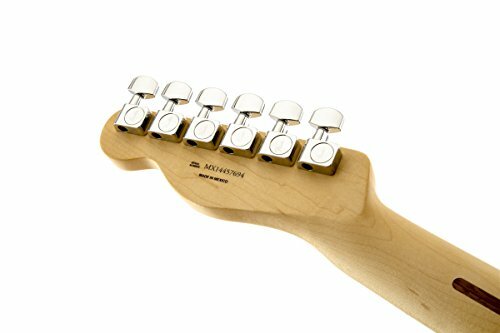 The bridge on the Stratocaster is attached to springs that connect to the body of the guitar, which allows the musician to decrease or increase the amount of tension that’s on the strings. This creates a vibrato effect. You can create this vibrato effect using the ‘whammy bar’ that’s located on the Stratocaster body. This effect does affect the Stratocaster negatively, as it makes this guitar a bit harder to consistently keep in tune. However, if you properly set up your instrument when you first get your hands on your new guitar, you are going to have an easier time maintaining the overall tuning stability of both the Tele and the Strat. It’s actually pretty common for a lot of musicians to ‘block’ the bridge of the Strats, which turns the bridge on the Strat into a fixed bridge, which makes it even more comparable to the Telecaster. If you are someone who is interested in playing heavier genres of music such as hard rock or even some metal, there are some musicians who take their Stratocasters and install a Floyd Rose tremolo system. Both the Tele and the Strat have master volume controls, but the Telecaster only has one tone control. On the other hand, the Stratocaster has one tone knob that’s specifically for the middle pickup and one specifically for the bridge pickup. 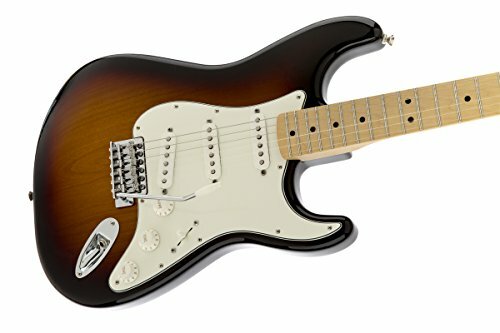 In the electronics department of these two guitars, the Stratocaster provides musicians with a bit more control and flexibility when it comes to controlling and experimenting with their overall tone. 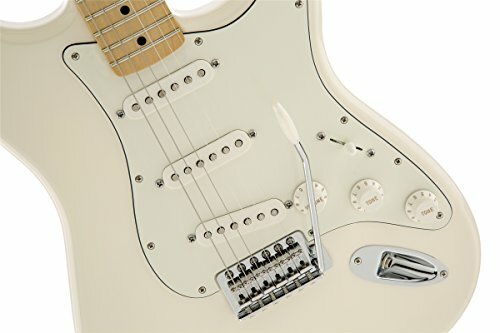 Combine this with the 5-way versus 3-way switches makes the Stratocaster more versatile when it comes to adjusting and controlling the overall sound, as well as all of the different sounds that these instruments can provide you with. With any guitar, no matter the brand, I highly recommend trying it before you buy it. Even if the Stratocaster sounds like it’s going to suit your personal tastes better than the Telecaster (or vice versa) I would still suggest that you take the time to play with both guitars and test them both out. You’ve got to let your ears and hands make the decision on which instrument is better suited for you. As an experienced musician, I can tell you that two guitars may look or sound to be similar when you’re reading about them. However, the sound and the feel of a Stratocaster versus a Telecaster is extremely different. There even could be a possibility where you love the feel of a Telecaster, but you love the sound of the Strat more. While it is going to take a little bit of extra work, you can combine the all of the pickups and specs on the Strat and transfer them over to the Telecaster. There are a whole bunch of different options for both guitars. So, you do have the ability to kind of Frankenstein your own guitar based off of the bits and pieces that you like off of both instruments. But, you wouldn’t be able to figure out which bits and pieces you’d like best from each guitar. Not unless you go into a guitar store and give both instruments a test drive. Stratocasters are better known to fit into blues and rock better, while Telecasters are popular in country music. However, both of these instruments have been used in countless other music genres and have been wildly successful doing so. Don’t let the judgment of one guitar fitting specifically into one music genre make your decision for you. Go out and play to see what you like best. In our comparisons above, we compared the basic American Standard versions of the guitar. 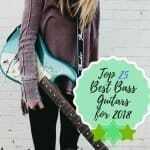 Both the Stratocasterand the Telecaster are great guitars, but if you’re most musicians, you will most likely find yourself gravitating towards one once you get more experience playing the Telecasteror the Stratocaster. Both instruments are loved by millions of hobby musicians and big-time rock stars. I hope you have fun on your Fender journey! 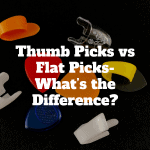 Thumb Picks vs Flat Picks- What’s the Difference?